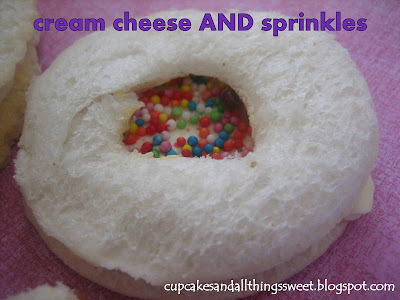 Think of the surprise littlies (and biggies) will get when they see these in their lunch box. 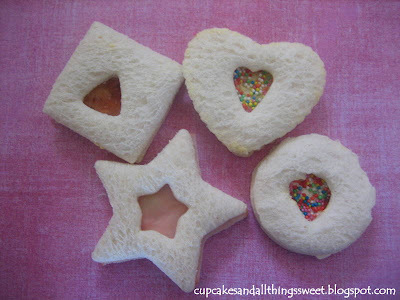 Better still, let the kids make their own sandwiches for lunch, these are easy to make and i'm sure they'll have fun. 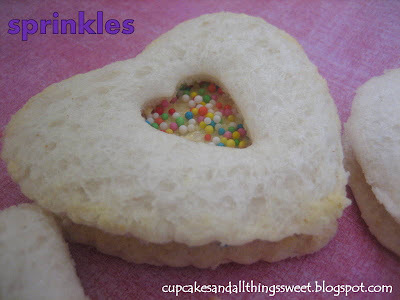 *You can store any leftover bread in the freezer and use later as breadcrumbs. 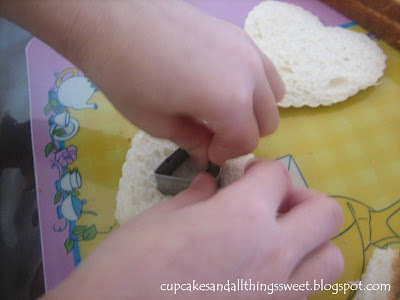 Cut two pieces of bread with a cutter. 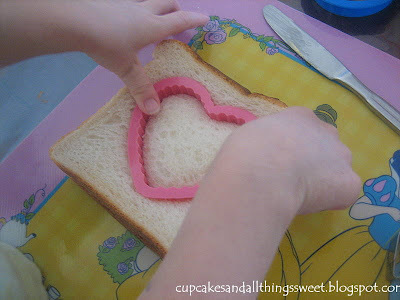 Using a smaller cutter, cut out the middle of one of the slices of cut bread then spread on your desired filling. That combo was Little Chefs idea and apparently it tasted great! wow! These look so cute! They are great for kids parties. The first look, I thought they were cookies. I love this! 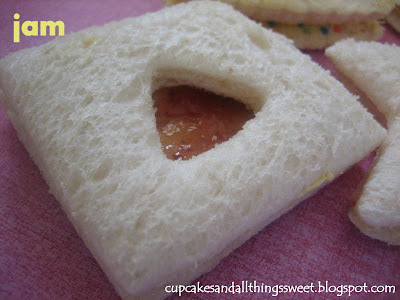 This is my kind of sammich! 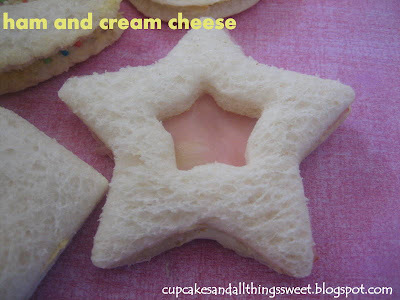 creative sandwich, they look cool and perfect for kids party.